Amazing piece of Raspberry Pi software that came as an open source IMG download that was copied onto a SD card then loaded into the Pi. Used for the 5-chip gold heat sink units and supported the dual mining and multi-pool fail over. Support for multiple miners via USB daisy chain, watch out for low power USB hubs as these can create issues. This is for the G-Blade miners with more features like better pool stats but essentially the same design. 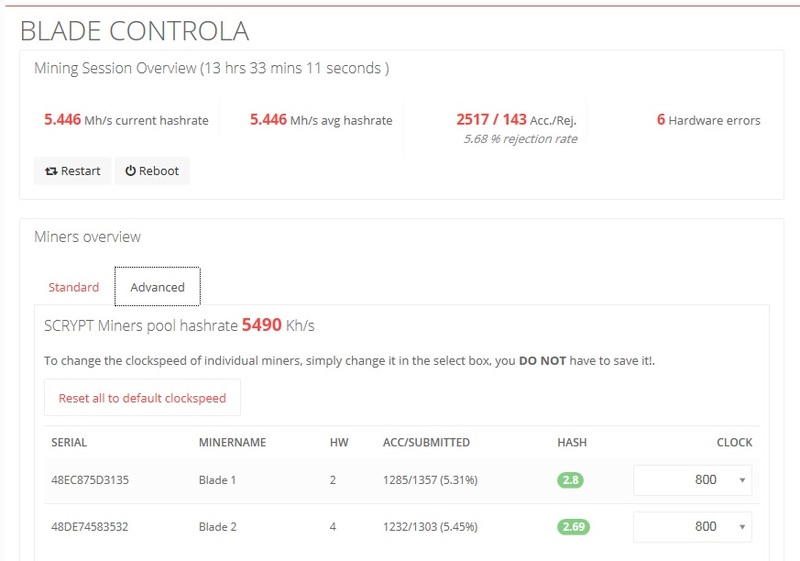 Using the wrong miner with wrong Controla yields some odd results and skewed stats. Also added more overclocking speed selections.